One of the UK's most successful and respected law firms with a national network of offices. They pride themselves on open and innovative approaches and providing clear and straightforward advice. Committed to putting you first. Established as sole practitioner practice in 2003 at Carlisle Circus, Belfast. They opened their Moira Office at The Village Centre in November 2007. Whilst specializing in family law, they also provide legal advice and assistance in areas of general law. They specialise in all types of accident and injury claims. No win no fee Free assessment of all cases. Personal interviews in office or home visits arranged anywhere in north/mid wales 24 hr advice line. Law Society and APIL Accredited Firm. They handle: Work Injury, Slip Trip or Fall, Road Accidents, Medical Negligence, Faulty Products, Criminal Injuries. The largest and longest established firm of Solicitors in Caerphilly, established in 1974. They offer help, advice and support for all your legal needs. They have specialists in personal injury law, family and matrimonial law, wills and probate, conveyancing and criminal law. They handle: Work Injury, Slip Trip or Fall, Road Accidents, Medical Negligence, Criminal Injuries. 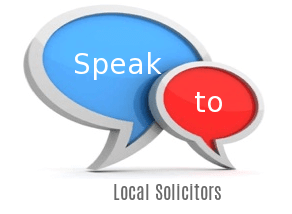 They provide a wide and specialist range of legal services for businesses. Their team consists of experienced and specialist lawyers who are able to advise on a wide variety of corporate and commercial matters. They provide a full range of services for any business, with particular experience and expertise in the IT sector. A full-service Belfast and Derry law firm whose activities are tailored to the needs of the business community in particular. With their long experience and strength in depth, they are committed to giving clients the best professional advice and support on the market. LMD Law provide flexible, cost effective and high quality legal services to both businesses and individuals. LMD Law's focus is firmly on their clients' interests and getting done the things you need, when you need them. Often described as a "virtual" law firm, whilst they offer meeting rooms by appointment, the vast majority of the firm’s work is conducted online and via telephone. Nesbit Law has four offices across the length of the country, including Birmingham, London, Liverpool and Bury. They strive to utilise the best technology and techniques to enable their solicitors to turn around cases more quickly than the industry average. They have dedicated teams for each area of practice such as Road Traffic Accidents, Industrial Disease and PTSD. Their staff also speak a large number of languages, enabling them to help a wider range of people.